In our Creative Cultures series, correspondent Crystal Henrickson spends a day inside companies to learn how hiring, onboarding, and company culture play a role in employee happiness. From startups to design firms and all in-between, we’re pulling back the curtain on what it’s like to work in inventive and productive environments. Today she’s with the lovely folks at Thinkific. Affectionately nicknamed “the Bunker”, Thinkific’s office stands in stark contrast from other bright and glossy corporate offices in town. Located in a shared warehouse in Vancouver’s industrial Railtown, the online education platform has been quietly expanding their company since 2012. The space—which they split with a few local companies like Thuggies and Bash and Fete—feels creative, energetic and fun, with eclectic features like a shipping container boardroom, a small podcast recording studio, and wood pallet walls that divide an otherwise open space. The openness of the office seems to complement the team well, as colleagues consult and collaborate with one another frequently. At Thinkific, learning is not only their core business—it’s ingrained in their team’s cultural DNA. 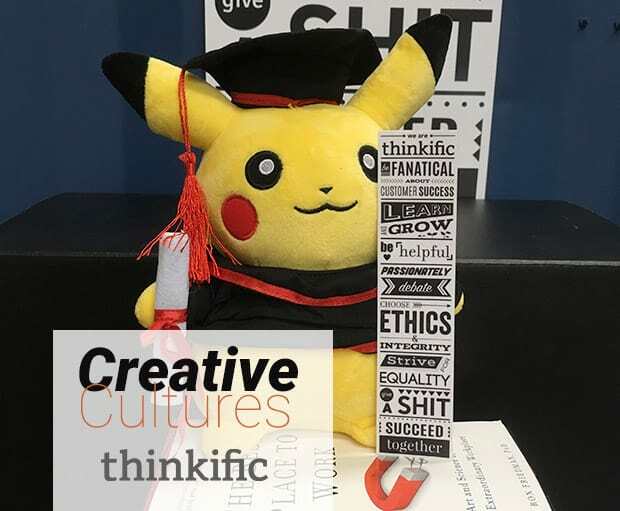 From sharing books and articles to cross-team collaboration to internal leadership development programs, Thinkific constantly pushes their employees to strive for growth and improvement from themselves and each other. 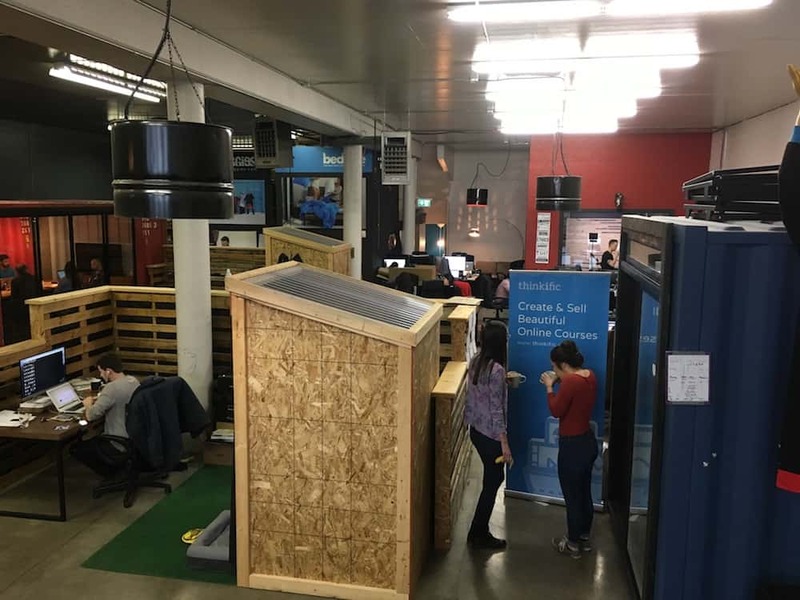 “There’s a heavy emphasis on learning at Thinkific, which I really value. We’re open to trying new things and learning from them, as well as helping employees pick up new skills,” says Sid Bharath, VP of Growth. While the atmosphere of the office is relaxed and laid back, the management approach is results-oriented. Joining in their morning standups, I am impressed by the flow of their meetings. Employees give brief updates on their targets, addressing challenges and celebrating wins collectively, as a team. Creative input and feedback from the team is embraced at every level, leaving the team with a sense of pride and accountability in their work. “One of our values, “Passionately debate,” encourages open and honest communication, and allows us to look at problems from all different perspectives. If you believe in something worth fighting for and can back it up, we love to see that.” shares Director of People and Culture, Tia Fomenoff. One of the fun ways that motivation is nurtured is by coming up with rewards for hitting their quarterly goals as a team. Their last quarter yielded a trip to a local escape room, but the team has their eyes set on a hotter, more tropical prize (there are rumblings about Mexico as a possibility) for hitting their next target. With awesome perks like unlimited vacation, flexible work hours and frequent company outings, Thinkific is an attractive choice for job-seekers looking to make a positive impact with a tech-savvy, entrepreneurial-minded team. 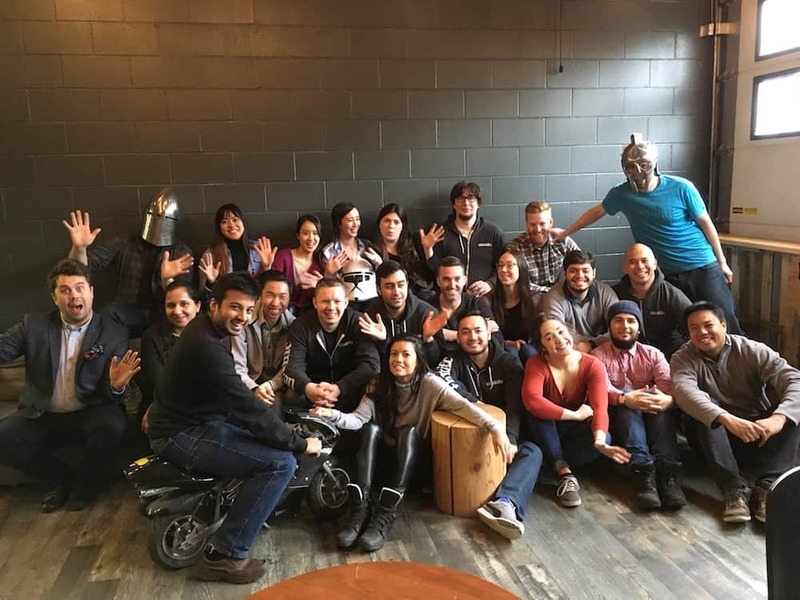 Business is booming, and the rapidly growing team is looking to pack their office with talented new hires. In fact, there are plans to more than double the team to 80+ by the end of this year. So what are they looking for in an ideal candidate? It seems a strong cultural fit and a genuine passion for helping others are just as important as hard skills and experience. “Simply put, we hire equally for an incredible skillset and for culture fit — if a candidate doesn’t clearly check both boxes, it’s a pass for us. We say no a lot more than we say yes. The bar is high because we care about building an exceptional team! We love adding new team members and are constantly looking for great folks to join us — smart, passionate people who love collaborating with others and building something bigger than the sum of our parts fit in perfectly here.” says Miranda Lievers, Chief Operating Officer.